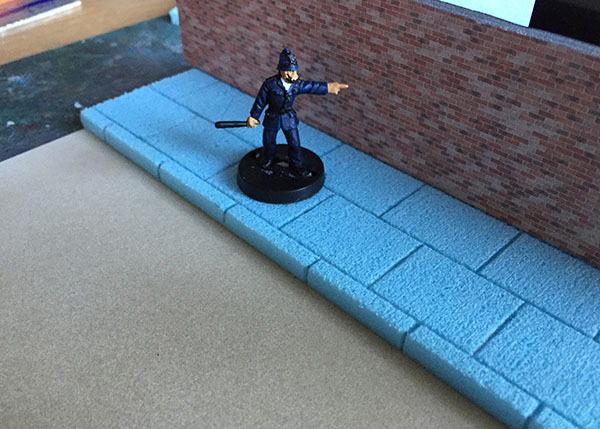 I’m doing a terrain project to create urban terrain tiles that I can use primarily for British 1970’s street scenes. I want them to be fairly versatile for other ‘street games’ (including a secret project). 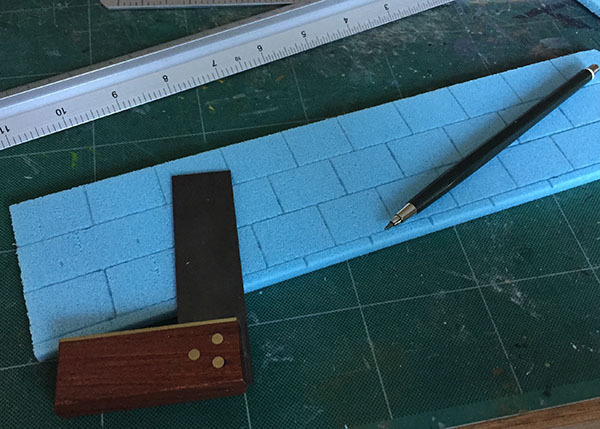 Consequently after a bit of trial and error using Foamboard to create 300mm x 300mm tiles and having them bend out of shape I hunted for advice and ideas from the best wargaming resource know to humans, the Leadadventurers forums, … and my builder mate, Jason. As a result I’m trialling something new. So this is a close up of the stuff I am using. This is sourced from a local sign making shop @ 2.50 per 300mm x 300mm sheet. 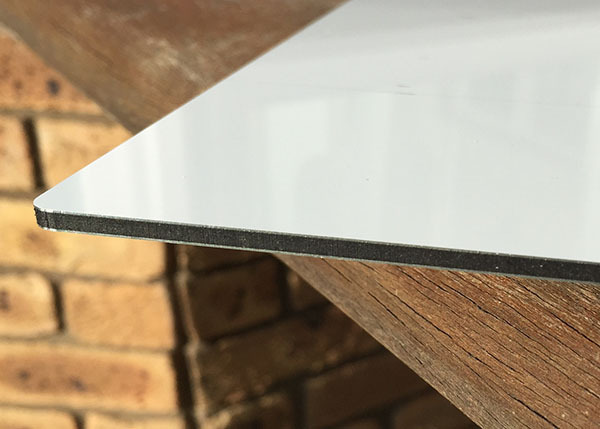 There is some cheaper stuff which is pretty much identical at £2.00 per 300mm x 300mm sheet. The core is solid plastic of some type, not ‘foam’. 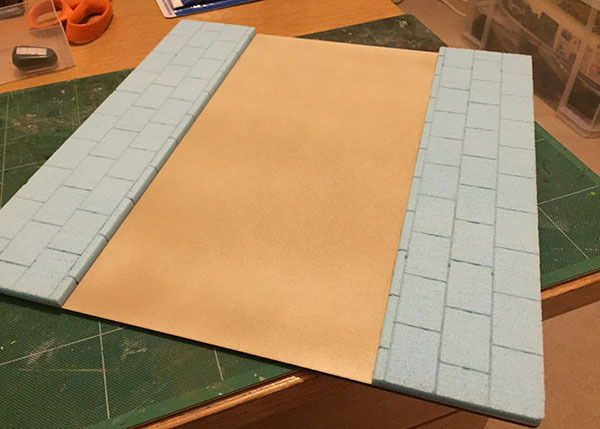 This is a 5.5mm Styrofoam sheet from Antenociti’s Workshop. I’ve scored the pavement with a sharp pencil. Finally the whole thing together … note that I had to sand the sign material down as it has a very shiny surface. I then sprayed it with a ‘suede’ effect paint out of a can from B&Q to give me a texture for the road surface. I’ll slap some paint on it tonight and see what it looks like. Note the brick wall … comes from an excellent site called Paper Brick. You can select from a number of customisable options and it spits out a .pdf of a brick wall to order. If you use it, don’t forget to thrown the designer a donation.